[A/N]: Not that you guys care about this topic, BUT I decided not to let anyone translate my fan fiction because I realized that it was a mistake. I kept rejecting people at first who requested to translate, but now I gave one girl a chance to test it out and it went downhill. Maybe it&apos;s just me but since the fan fiction is already written, translating it wouldn&apos;t be as difficult as writing it. She translated one chapter only and to me, that&apos;s too little. I mean, currently, I have 52 chapters, how is she going to translate all that if one chapter is too difficult for her? I don&apos;t want to be the person she points a finger on when her studies go bad, so I decided to end it all. I am so sorry if this confession seems rude or mean, but I am a really honest person, and I&apos;d hate seeing someone actually make an effort until like ten chapters then tell them to stop. The earlier, the better. Once the couple got into their bedroom, Harry got his omega under the warm covers before getting in after him. Later on, he brought his omega back into his warm chest and whispered, "Try not to get upset for the sake of our triplets," then brought his hand under his omega&apos;s jumper to rest his large paw over it protectively. Louis nodded and leaned back into his alpha&apos;s arms before shutting his eyes tiredly while he rested his tiny hand over Harry&apos;s.
The couple slept peacefully that night regardless of the little banter they had earlier but they were able to look past it and move on with their lives. It was now 10:23 in the morning where the beautiful omega was still asleep while the alpha was on his laptop. Ever since yesterday&apos;s conversation at Wendy&apos;s, Harry realized that he had to search for a place to live in the city. While he was scrolling down the screen reading about every detail of each house, Louis pouted cutely in his sleep because he felt cold. The Omega sat up on the bed and looked around sleepily until he found his alpha then took his arm to wrap it around himself then continued sleeping on his chest. Harry cooed at his adorable Omega and whispered, "I&apos;m so sorry, baby, were you cold?" and kept his laptop on the nightstand then brought his Omega in his strong arms. Louis nuzzled into him and shut his eyes as he was starting to relax against his alpha that not only made him feel safe but mostly warm. Niall got into the room without knocking and said, "Louis, the food is ready! Liam made pancakes and waffles. We will mix them together and call them Panffles!" and left the room. Louis blinked his eyes open and said tiredly, "That sounded weird but I like the sound of Panffles, don&apos;t judge me," and closed his eyes again. Harry chuckled and said, "I would never," and pecked his hair then added, "Shall we go down or are the babies not hungry?" and rubbed his baby bump gently. Louis looked up at him for a moment before answering, "I&apos;m too lazy to move." The alpha nodded with a fond smile and soft eyes as he said, "Okay, wait here," then slowly unraveled himself from his omega&apos;s arms and went to the closet to wear a black shirt with basketball shorts. Once he got back to his Omega, he said, "You know the drill," and smiled when his Omega opened his arms out like a baby for Harry to carry him. As he held Louis in his arms, he felt grateful that his omega forgave him and he was going to make it up to him. After they had been done brushing their teeth and washing their faces, they went downstairs. Zayn and Liam were concerned that the couple could be fighting since they thought that it was their fault. But once the couple came into view, they both sighed in relief while looking at each other. Niall was sitting on one of the chairs, and when he noticed that his best friend was here, he said, "Louis!" 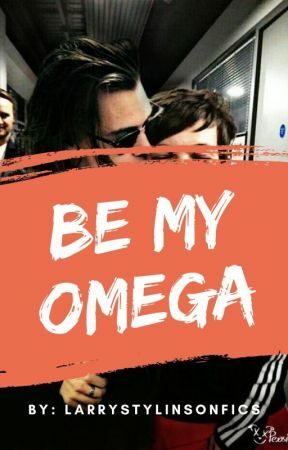 Harry gently set his Omega down next to Niall then went to retrieve some orange juice for him and his omega. Louis rubbed his tired eyes and said, "I&apos;m so exhausted," and rested his head against Niall&apos;s shoulder while shutting his eyes again. Niall cooed at him and said, "Couldn&apos;t sleep yesterday?" Louis said, "No, it&apos;s just too early." Niall stabbed the fork on the food and kept it to his friend&apos;s mouth, "Taste this, you won&apos;t regret it!" Louis blinked his eyes open once he smelt the delicious food, so he opened his mouth and ate from the fork. After chewing and swallowing his food, he looked up at Niall with his eyes wide in surprise and said, "That tastes good." Liam kept the plate in front of Louis and said, "I&apos;m glad you like it, if you need more, just ask," then sat down next to Zayn who was facing Niall. Zayn looked over at Liam with a fond smile and said, "You are the best chef out there, I promise you that," and pecked his cheek which made Liam blush. When Harry was back, he kept his omega&apos;s glass in front of him then sat down next to him. Louis thanked his alpha and in the middle of eating his food, he complimented Liam by saying, "Your cooking is magnificent, who taught you how to cook?" Liam shrugged with a smile and said, "My father at first but then I learned the rest from books or cooking shows. Today was one of those days where I just experimented things together." Niall added in, "It was my idea because I woke up craving them together, so I told Liam about it, he was happy to make it." Zayn just chuckled at them and said, "I&apos;m just happy to eat whatever he&apos;s making." Harry rested one of his hands on his omega&apos;s thighs and squeezed lightly. He said, "Did you guys found any house in the city that you might fancy?" Liam thought about it for a moment while he was chewing on his food and then said, "There&apos;s this one house that is near the restaurant." Zayn added in, "Yeah, that one was really nice. All we need to do is go over there and check it out because some pictures on the internet can be deceiving." Liam nodded while pointing at Zayn and said, "Yeah that&apos;s the only problem that&apos;s been bothering me." Niall finished his plate and said, "More, chef," and handed the plate to Liam whose eyes darkened by his omega&apos;s words. The brown eyed alpha cleared his throat while he was refilling up Niall&apos;s plate and handed it back to him. 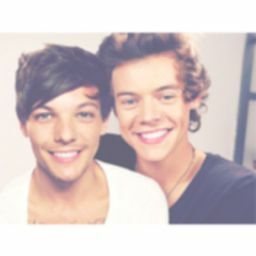 Louis looked up at Harry and said, "We can all go on a road trip to search for houses like a house hunt or something." Harry chuckled and said, "We can do that."